If you need help with tf2 trading with metal use this chart to help. 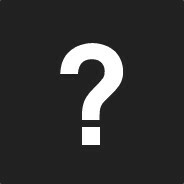 ᘉуяоaмє: just wondering about your tf2 items if its up for a trade? sn@Xus S UNUSUAL>PayPal: what items? ᘉуяоaмє: can i offer your Miami Nights Bootleg Base Metal Billycock? ᘉуяоaмє: for my Showstopper Taunt: Burstchester? ᘉуяоaмє: how about my Strange Professional Killstreak Australium Grenade Launcher? ᘉуяоaмє: before we trade can i asko you something? ᘉуяоaмє: were did you get your Miami Nights Bootleg Base Metal Billycock? ᘉуяоaмє: okay as a high tier trader here can we both undergo first checking items verification by helping some official mate to make sure that were not trading buged or duped items here?